Welcome to our fishing blog, which takes you along on our fishing trips around British Columbia. This is also where we provide you updates on changes to our website and other related projects. 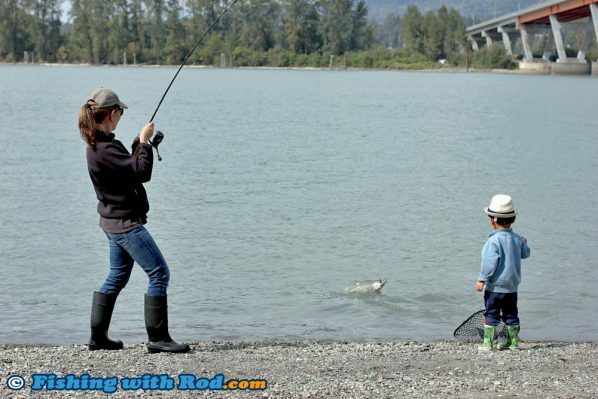 By now if you do some kind of recreational fishing in British Columbia, you must have heard about the predicted return numbers for this year’s Interior Fraser River steelhead, which are pretty dismal. The expected number of steelhead returning to the Thompson River is 145 fish, while Chilcotin River’s return is expected to be 45 fish. The number of fish spawning in the spring will most likely be even lower than that once overwintering mortality is taken into account. The Thompson River returns, just one decade ago, were still in the thousands. Lets pause for a minute and think about the rate of this decline. If an iconic species of animal in British Columbia, take grizzly bear, or bald eagle for example, had a 50%+ decrease after one breeding cycle, imagine what the public outrage would be. The trouble with fish is that, they are in the water. You can’t see them and you don’t know how they’re doing. Once a fish species loses its commercial value, it no longer is a public interest. A handful of lucky steelhead anglers who have had the privilege to shake hands with these fish, have a sentimental connection with them and will be their advocates, but their voices are not enough to bring these populations back to what they used to be. The recovery of a species requires the support of ALL British Columbians, and this is where you come in. Now, I can’t sit here and tell you what a magnificent sportfish the Thompson River steelhead is or that we are saving them so future generations can enjoy catching them. Firstly, I’ve never fished for them so I wouldn’t know, and this is not about fishing anymore. The loss of a species is tragic, especially when it is preventable. The goal is no longer to save an iconic fish so some fishermen can feel the tug again. This is about saving genetically distinct populations of fish which cannot be replaced once they are gone. The Interior Fraser River steelhead’s endemic range is huge. From the streams where they hatch to the Pacific Ocean, too many things can go wrong in tens of thousands squared kilometres. On top of natural challenges such as predation and unfavourable oceanic conditions, their survival is impacted by plenty of human activities. Some of these human-caused problems take time to resolve, while others can be eliminated immediately. The commercial chum salmon gill net fishery in the Lower Fraser River, which takes place during these steelhead’s returns, is one of them. When there are only 200 fish returning, it is absurd to suggest some of them can be considered as incidental by-catches so a fishery can be allowed. With a post-release mortality at over 60%, you can see how fast the population can be pushed to extinction. The trouble with saving a species, is the race against time. The rate of decline accelerates as the species approaches extinction. Ten years ago, losing 20 fish meant a 1% loss of the population. Today, it becomes 10%. Time is running out. Our immediate action should be to pressure this government to end a commercial fishery that puts money in a few pockets at the expense of a species’ survival. You can do so by signing this current petition that has been circulating. By signing this petition, it does not guarantee the recovery of the Interior Fraser River steelhead populations, far from it. This recovery will most likely take decades so your ongoing action and support are required. Sign, share and inform others who are still unaware. Check out the latest episode of Gibbs Delta TV which we have just published. This episode features Okanagan Lake’s rainbow trout and kokanee fisheries, which can be done almost year round. We joined pro-staff Rodney Hennig from Rodney’s Reel Outdoors who is an expert in the Okanagan region. Also joining us is special guest Sem Hilverink, who is a very avid young angler from Kelowna. We are giving away a beautiful Moby Net! To enter, leave a comment in this video, or on our Instagram or Facebook by telling us, what are the favourite things you’ve seen or what have you learned from the 550 videos which we’ve put out in the last ten years? We will randomly draw a entry and announce the winner on August 9th during an YouTube livestream event! Fisheries and Oceans Canada has released a couple of fishery notices on rockfish and lingcod regulations for this season. The first one summarizes the daily quota for rockfish. Second notice summarizes the quotas for lingcod in Areas 12, 13 to 19, 20 and 29. Please note that Areas 28 and 29 (except subarea 29-5) remain closed for lingcod and rockfish fishing (this includes catching and releasing) because abundance is simply not high enough for any harvest. 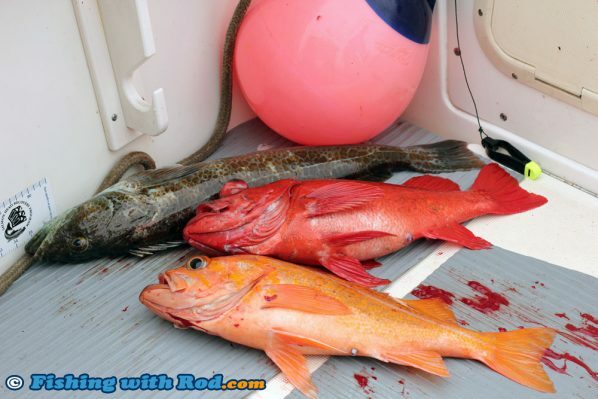 Third notice summarizes the quotas for lingcod in all other Areas. Post-release mortality is often quite high when it comes to rockfish due to the expansion of their air bladder as they are reeled in from the deep. This is a concern to fishery managers and the recreational fishing sector is developing ways to significantly reduce this impact. One is to selectively target species, like what we did in our recent video with Murphy Sportfishing by using large swimbaits for lingcod to avoid rockfish. Another way is to stop fishing once anglers reach their quotas so no fish are unnecessarily killed by catching and releasing them. 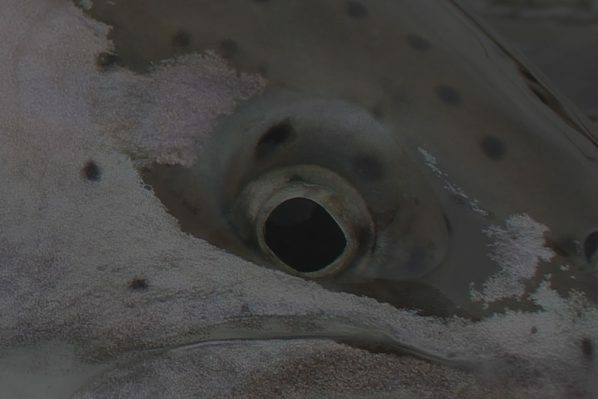 The third way, which may have the biggest impact, is the use of a release device which brings the fish down to a selected depth before it is being released. The fish is hooked onto the device, which is then lowered into the deep by using a Scotty Fishing Products’ downrigger and the device will released the fish based on water pressure. This depressurize the fish’s air bladder gradually as the depth increases, therefore bringing the fish back to its habitat. Early testings have shown excellent results with underwater video footage of fish swimming away once being released. It is a practice that will not only sustain the resource but also keep fisheries open in the future. We will be showing you how the device works later on this year when we start filming on the WCVI.